IOSK has a deep reference list of very successful ticketing clients, largely due to our proven custom and outdoor solution design expertise. 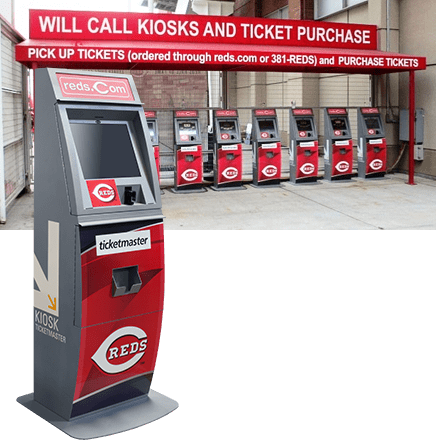 Major transportation, resort, and entertainment companies have deployed our ticketing kiosk solutions to expand their automated sales and will-call footprint to increase revenues, reduce labor and facility costs, manage peak traffic flow, and provide customers with self-service convenience. Additionally, kiosks at off-site locations offer increased distribution at a much lower infrastructure cost. The common solution objectives for airport ticket kiosk / check-in platforms include added customer convenience, improved speed of service, reduced overhead for the deployers, and added security to the check-in process or transaction. Airline ticket kiosks for check-in with Common-Use Self-Service (CUSS) allow multiple airlines and airports to share the same infrastructure, hardware, and platform resulting in impressive savings to the deployer. Customer processing throughout is dramatically increased, improving customer service, staffing costs, and congestion management during peak flow hours. 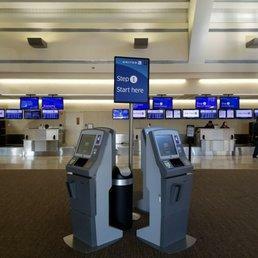 Similar benefits have been realized in other KIOSK Check-in solutions. Patient Check-in solutions can be found in the Healthcare section of this site. 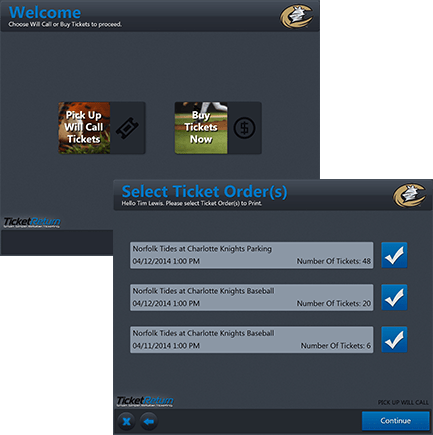 KIOSK’s Application Development Team has authored applications to support complete feature sets for ticket delivery, retrieval and transaction management requirements. User flows facilitate a secure PCI compliant ticket purchase transaction with fast processing, ensuring a positive self-service customer experience. KIOSK’s ticketing applications manage hardware controls for all key components that support ticket purchase and verification transactions. The user interface (UI) flow is client-customized. Additional custom features are readily supported. KIOSK Software Professionals are available for consultation.